It sounded like a fairytale but on Tuesday morning at Adejonwo close, off Jonathan Coker road, Fagba area of Lagos, the reality of the hard times became real. Some persons before dawn broke into a canteen, Testimony Kitchen, and carted away coolers of soup, rice, beans and meat. The owner of the canteen had prepared the soup and some food overnight for early callers the following day. To her shock, she resumed on Tuesday morning and discovered her shop was burgled. She was so downcast and disoriented. 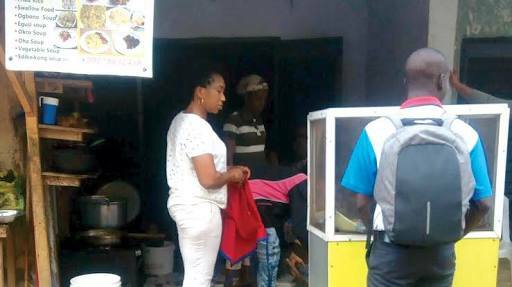 Her customers, many who came to get food for their kids set for school, were also astonished. Narrating the incident to The Guardian, a neighbour, Mrs. Ayodele Adebayo, said: “I have witnessed four similar incidents in the past few weeks. People are hungry and what they have resorted to is breaking into people’s shop to steal foodstuff, soup and meat. If you catch them they will explain to you that they are hungry and have no other option. The family who stole my co-tenant’s food was even asking whether they could still get more to eat. It is that bad. People are really hungry.